Dinner: We were in Austin photographing the post-tension cables and the positions they are laid in our foundation, so we went somewhere close by for dinner. We tried Brick Oven (9911 Brodie Ln # 600, Austin, TX‎ - (512) 292-3939‎) and despite some mixed reviews online, we really liked it. We started off by splitting their Greek salad. They split the salad for us, so the photo is of my portion. 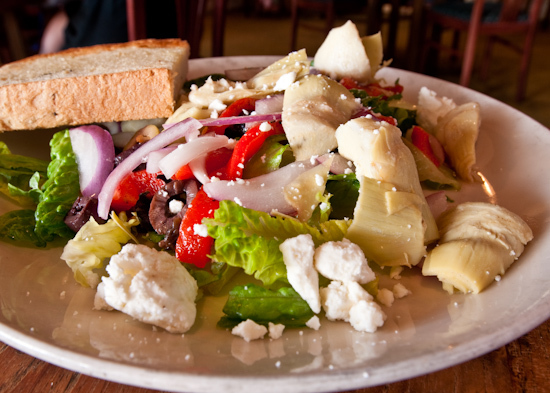 The salad was average - nothing special - except they were very generous with the marinated artichoke hearts. We got a large pizza with one half Spinach European (whole milk mozzarella, crushed tomatoes, romano, virgin olive oil, and spinach) and the other half Cook's Spicy Special (pepperoni, Canadian bacon, spiced beef, onion, green peppers, fresh garlic, jalapenos, Roma tomatoes, mozzarella, and romano cheese). The pizza crust was fairly thin and crispy throughout (especially so at the exposed edges). It remained crispy throughout our meal. Both types were flavorful, but the Cook's Spicy Special was especially so. Luckily we started off with the more mild Spinach European before eating the Cook's Spicy Special. 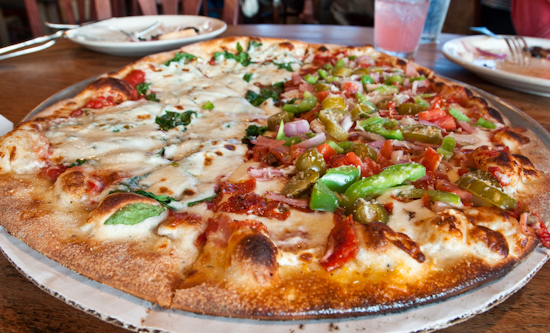 We only ate half the pizza, so we'd have room for dessert (and a future lunch taken care of). 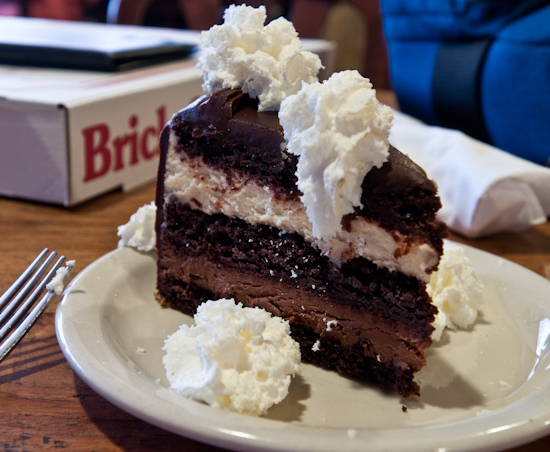 For dessert, we ordered a slice of White and Dark Chocolate Mousse Cake (Layers of chocolate mousse and moist chocolate cake covered with chocolate frosting). At first glance, we thought the mousse looked too thick - like a ganache or dense buttercream consistency. But when we took our first bites, it was clear that it was soft and smooth and wonderfully chocolaty. We often don't plan our meals so that we get to order dessert, but I was glad we ordered this one. The cake was delicious and we'll definitely have to go back again. 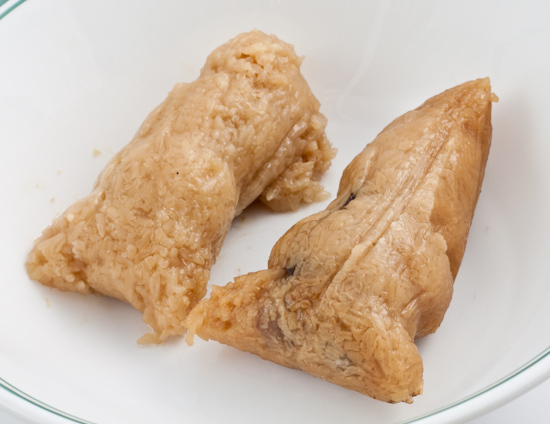 Lunch: We heated up pork zong zi that my mom made and left with us in the freezer. I had two.